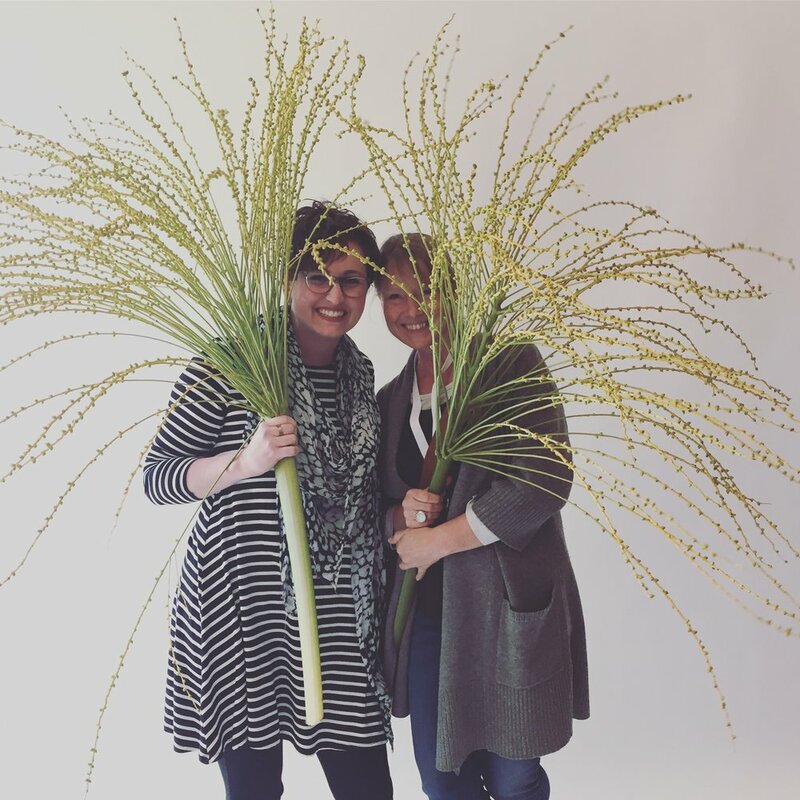 When I relaunched Whirly Girl Flowers in Sheridan, WY last year, I started looking for resources on growing my business and a community of fellow flower professions. Along the way I found Team Flower - a group of likeminded souls who encourage one another and provide numerous resources - professional training, workshops, free videos and an extensive blog. 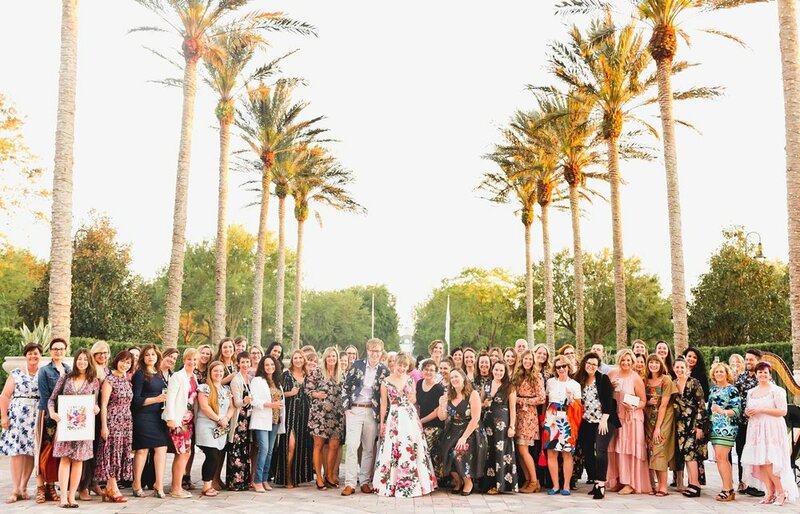 Over the last year I’ve learned from the delightful Kelly Perry, participated in their growing online community and attended the first ever Team Flower Conference in Orlando, Florida last Spring. During the conference we learned from industry professionals like the funny and talented ladies at Sweetroot Village in Washington D.C., watched demonstrations and I even got to meet a flower hero. One morning I sat down across from a face that seemed familiar but couldn’t place. When we introduced ourselves I just about jumped across to smother Susanne with a hug. We’ve been following each other on Instagram for years and it was a lovely surprise to meet her in person. Her little garden studio, called The Blue Carrot, is an inspiration and style instantly recognizable. So much happiness meeting Susanne! I made several new flowers friends from around the country during those few short days. 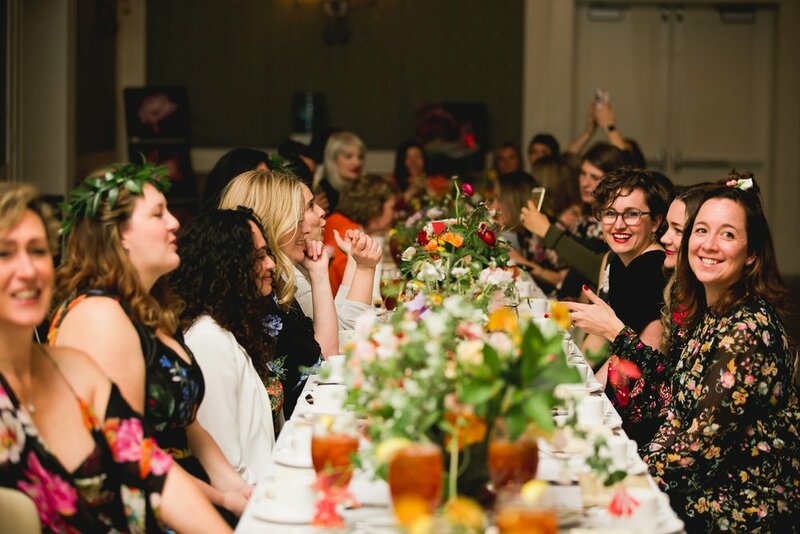 Women who are funny and brilliant and doing amazing things with flowers in their community. Katie from Posh Petals in Tuscon, AZ. We met before the conference even started when a group of us decided to hit the local grocery store for supplies and she was the only one with wheels. We were pretty much inseparable for the rest of the conference and even had a chance for a quick visit this summer. Following my time in Florida I connected online with a few other flower friends that I met but didn’t get to know very well at the conference. Kalin lives in Northern Michigan with her husband and two giant dogs on a lavender farm and rocks an incredible wedding season every summer on the lake. She’s become a favorite on my daily Instagram check for her wit and honesty. This year I’ve invested more in my flower community by participating in a Team Flower Podcast and writting a few guest blog posts which you can find here. While most of these dear women are spread across the country we take advantage of modern technology and the occasional old fashioned card to encourage one another and learn new techniques.